Home Blog Why is Fortnite So Crazy Popular? Why is Fortnite So Crazy Popular? People everywhere are playing it. Celebrities are raving about it. It's the highest-grossing free-to-play game of all time. What is the secret behind the Fortnite phenomenon? Understanding the reasons it is so popular could provide clues to the future trends of the gaming world. If you haven’t played Fortnite, chances are your son or daughter has. The game is a sensation – the highest-grossing free-to-play game of all time. The game has generated a whopping $223 million across all platforms, according to Superdata. has It’s become something of a social phenomenon. Celebrities like Drake and Roseanne Barr play it. Professional athletes are talking about it. Josh Hart even has Fortnite-inspired shoes to wear on the court. What makes this game so popular? There are several factors that have made Fortnite so wildly successful. These factors are interesting to consider as they indicate new trends in the gaming industry. You can be sure that competitors will be quick to follow suit. Fortnite is a multiplayer third-person shooter game in which players control an avatar that is visible on the screen as he or she shoots at targets in a 3D environment. These types of games are very closely related to first-person shooters, and there have been plenty of successful games in that subgenre. 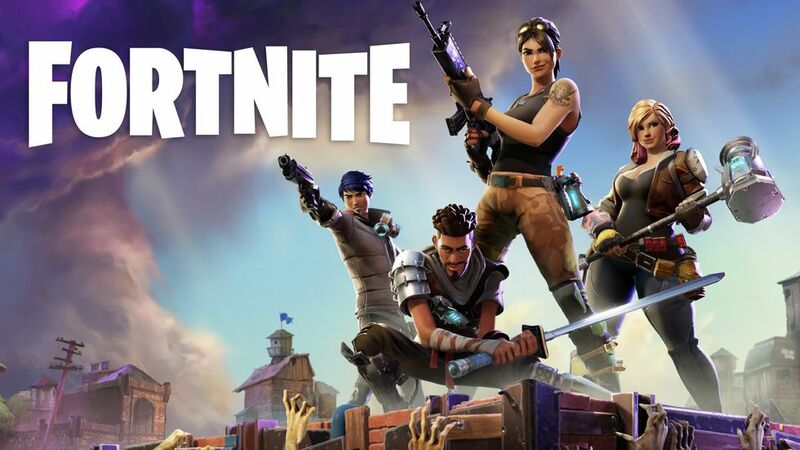 Games like Call of Duty, Grand Theft Auto, and Overwatch, just to name a few, set the stage for games like Fortnite to enter the market. The popularity of these types of games provides a ready-built audience of tens of millions of players just waiting for the next big thing. Clearly, the next big thing has hit. The most popular feature of the game is the “battle royale” mode, where about 100 players are pitted against each other in a fight-to-the-death match on a rapidly shrinking map. Matches typically last about 15 minutes. Players form teams. They can chat with each other as they play, using headsets and microphones. This social element adds an extra layer of immersion for players to relish in and is part of the formula for the game’s popularity. The game is totally free to play. So how does it make its money? Simple: you can make in-game purchases of cosmetic upgrades for your character – things like clothing, hair, skins, and emotes. None of the in-game purchases affect the actual gameplay. You can refrain from spending a single cent and still become an amazing player. The term for these kinds of purchases is micropayments. Fortnite is not the first game to utilize micropayments. However, it is unique in that these micropayments are non-essential. Players don’t have to get them to be able to play or to play well. That isn’t stopping people from spending like crazy. The game rakes in about $2 million a day on Apple’s iOS. EA tried making micropayments critical to game play in Star Wars: Battlefront II and it backfired. Players were not happy about it and they let the company know it. EA was forced to turn off all in-game purchases just hours before the game’s launch. The power of throwing a fit! Another critical component of the game’s success seems to be its availability across multiple platforms. It is available on Microsoft Windows, macOS, PlayStation 4, Xbox One, and iOS. This widens the audience for the game by making it more accessible to more people. These days, streamability is marketability. People like watching other people play games (don’t ask me; I don’t get it, personally). There are entire channels on YouTube with millions of followers devoted to nothing but gameplay and commentary. Twitch is another major streaming service. Streaming gameplay is an inexpensive way to market the product. You can get millions of viewers excited about the game and generate a powerful word-of-mouth campaign. Plus, the game looks nice. It’s bright and colorful and has a cartoonish style. This aesthetic lends itself easily to streaming. It’s pretty to look at, basically. Fortnite’s success isn’t the result of just one thing. It’s everything combined – the confluence of different trends in the gaming world. Game developers would be smart to take notice. I’m sure they have and it won’t be long until we see competitors come up with an answer to the Fortnite phenomenon.